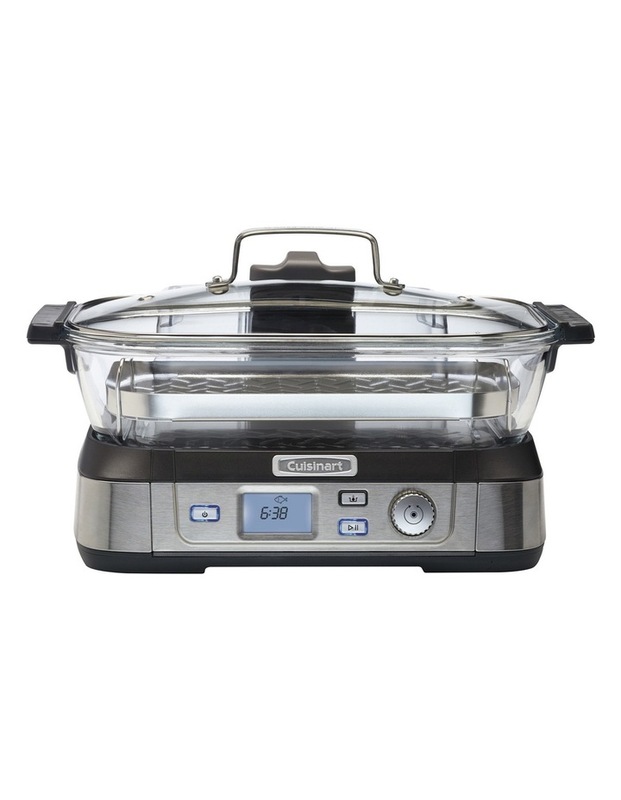 Consumers looking for a healthy way to cook will love Cuisinarts new Cook Fresh Digital Glass Steamer. A powerful steam system delivers steam from the top down, surrounding food to cook quickly & evenly. The 5-litre glass cooking pot is large enough for family-size portions of vegetables, fish, chicken, rice & more.